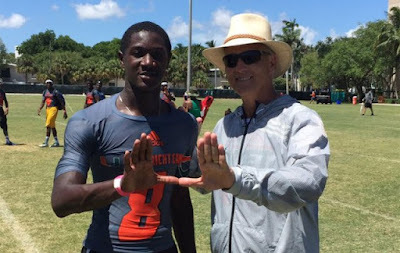 Shirts With Random Triangles: Miami Adds Safety Prospect DJ Ivey To Its 2018 Recruiting Class. Ivey is currently unranked by the major recruiting sites. Ivey attends South Dade High School in Homestead, Fl. He stands 6'0, and weighs 175 lbs.